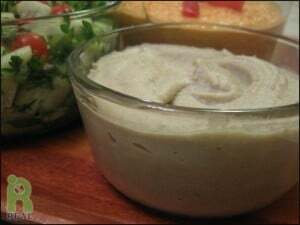 Light and creamy, this Baba Ganoush is easy to prepare, with only 3 ingredients. 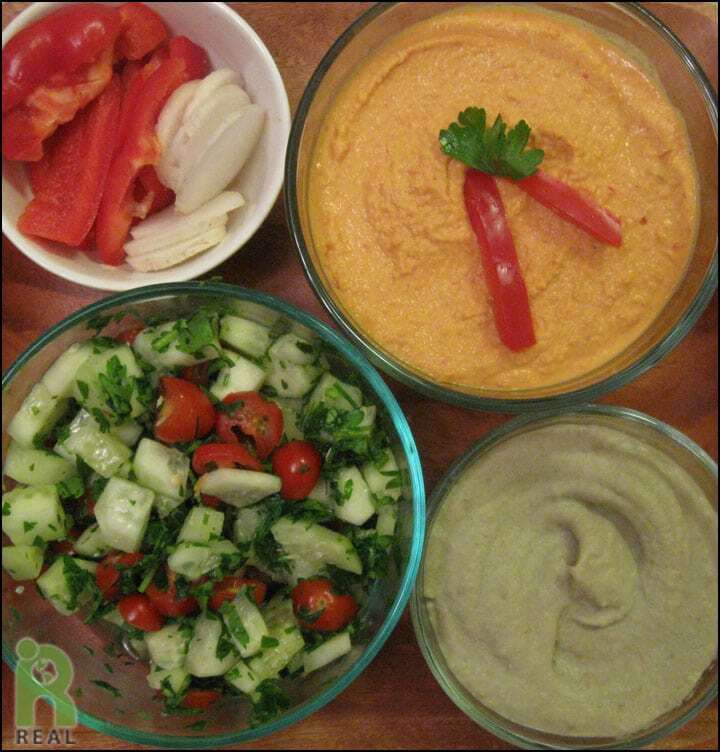 It goes perfectly with our REAL Red Pepper Hummus and Cucumber Salad in the REAL Mezze Platter pictured below. 1. Place the eggplant in a baking dish. Poke a few holes in it. Let it cook in a 400oF oven, turning occasionally, for about 40 minutes until soft. Remove from oven and let cool. 2. Peel the skin off. 3. Place the eggplant, lime juice and tahini in a food processor and blend until creamy. 4. Transfer to a bowl and serve.